We have over 10 years’ experience providing reliable and cost effective landlord services, this includes our tenant find only service. What sets us aside from other letting agents is we are ethically motivated, and have dedicated, dynamic and experienced letting staff. We operate to a strict code of ethics and have service level agreements in place. Our Managing Director, Douglas Haig is Vice Chairman of the Residential Landlords Association and campaigns for landlords’ interests at forums through Wales. For our property management service, we carry out all of what the tenant find service offers but we will then prepare the inventory (typically around 80 pages) and ensure the rental property is ready to move into and up to the legally required standards. We will ensure the tenants are fully aware of all the facilities in the property and we will collect and transfer rents. If the tenants are late with their rent, we will chase the payment and if necessary serve the relevant notices (Section 21 and Section 8) to begin eviction proceedings if they continue to not pay the rent, or are causing anti-social behaviour. We will attend court with you in the unlikely event the tenants do need to be evicted. We will deal with any queries with the tenants during the tenancy and carry out 3 monthly property inspections ensuring the property is not failing on any of the HHSRS standards and that the tenants are keeping the property in good condition. If they are not keeping it in a good condition, we will take relevant action including more regular visits and notices of breach of tenancy. We will take all calls for maintenance and liaise with your appointed contractors or our contractors, whatever you prefer. We will handle the quality of finishing the work and payment to the contractor on completion from the rent. At the end of the tenancy, we will carry out a pre-checkout inspection and advise the tenant what they need to do to return it to the condition of the original inventory minus fair wear and tear as designated in the ARLA guidance. At the end of the tenancy, we will carry out a check-out inspection, prepare the report, compared to the original inventory, work out costs of repair, compare to appropriate wear and tear and then take account of dilapidation on the items in question. We will then submit this to the deposit scheme to claim that cost and reclaim from the deposit and release the rest to the tenant. If the amount is disputed we will make the case to the alternative dispute resolution service (ADR) or court, depending on what the tenant has opted for. If the amount required is greater than the deposit, we will prepare a case for court if necessary. Court fees are in addition to our management. We will then prepare the property ready for re-let and the cycle begins again. What is included in our tenant find only service? Instructing James Douglas as your letting agent, we start by visiting the property to take photos, get the full details and descriptions to enable marketing of the properties on various portals including Rightmove and Zoopla as well as our own website and office. 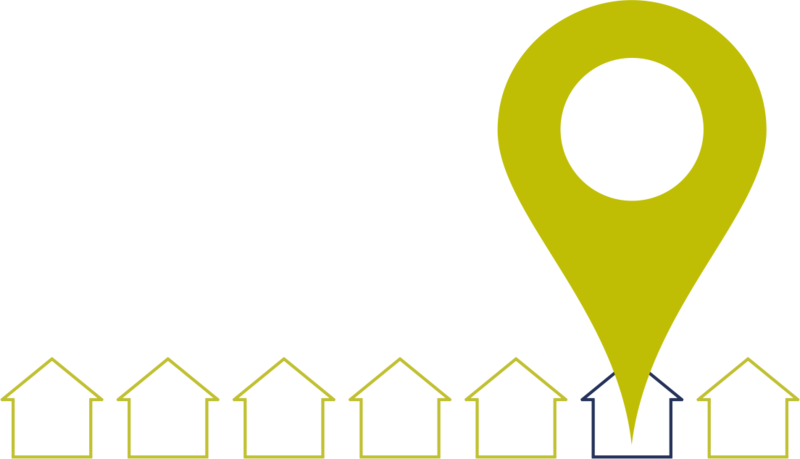 We take the time to find out what kind of tenants you are looking for, and also give advice based on our experience and knowledge of the area. We take all enquiries and carry out accompanied viewings with extended office hours, so we are able to cater for people with busy lives! Once we find the right kind of tenants we can negotiate on your behalf and carry out full referencing checks. This is quite a detailed process and includes getting references from employers, landlords and carrying out credit checks. Once the referencing is complete and passed, we draw up the contracts, sign with the tenants, and then register the deposit in your preferred deposit protection scheme (TDS, DPS or MyDeposits).